For over a decade, the NETELLER Service has provided businesses and individuals with a fast, simple and secure way to move money online. The NETELLER service is operated by Optimal Payments Limited – a company founded in 1999 and specialized in offering online alternatives to the common payment methods. The users who choose NETELLER can rely on safely and confidentially receiving their money. What is more, the companies have the opportunity to accept payments and make payouts in markets where traditional methods may not work. Millions of customers around the world have used their NETELLER Account to pay and get paid on thousands of sites and to send money to individuals around the world. And with Net+ Prepaid MasterCards® linked directly to the funds in their account, they also enjoy instant access to their cash at millions of MasterCard® point-of-sale, ATM and online locations. All these make NETELLER one of the most popular payment services in the world and when it comes to the gambling industry, they cover all needs and requirements of the users and operators alike. You can verify your account if you want to. Verified accounts have additional options for higher limits. The process of verification is not any different than the one used by the gambling operators. Submitting your documents is fast, easy, free and very secure as you are uploading your documents from within your NETELLER account. To start, all you will need to do is sign in to your NETELLER account. 2. Within the account summary page, you will then need to click on “Verify” beside Identity option. 3. You should be automatically directed to the document upload page. You will need to then click on the drop down list to view the different document options you are able to submit. Acceptable government-issued photo ID includes: Passport, Government ID Card, Driver’s License, Permanent Residency Card, Visa Residents Permit. We would like to note that such a document may not be necessary for your verification, but due to safety measures you may be asked to apply it additionally. The following documents are acceptable: Electricity (Power) Bill, Water Bill, Gas Bill, Home/Mobile Phone Bills, Cable/Internet Bill, Speeding/Parking/Traffic Violation Tickets. Up to 0.5% cash-back every month; free withdrawals; multiple currency accounts; as little as a 1.25% FX fee; 10 free credit card deposits per month; Fflexible transaction limits; a bonus- NETELLER Reward Points or a VIP fraud guarantee. Join the Reward Points program and you can earn rewards when you use NETELLER. Just sign in to your account and select the “Reward Points” banner on the account summary page to start collecting points. Every time you move money in or out of your account you’ll earn 1 reward point for each USD or equivalent*. 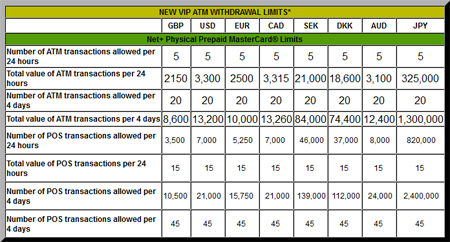 Platinum or Diamond NETELLER VIPs earn even more – 1.25 points for every USD for Platinum VIPs and 1.5 for Diamond VIPs. You can’t use your NETELLER Account if there’s no money in it. With a wide variety of options for funding your account depending on your country of residence, there’s always an option that’s right for you. To view a list of the options available within your region, simply sign in to your NETELLER Account. 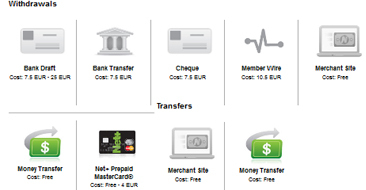 Getting money out of your NETELLER Account is fast, simple and secure. There is a wide variety of withdrawal options, depending on your country of residence. To view a list of the options available within your region, simply sign in to your NETELLER Account. * You must verify your account before you can withdraw funds from it. If you do not yet have a NETELLER Account, you will receive an email explaining that someone is trying to send you funds, along with instructions on signing up for a free account. 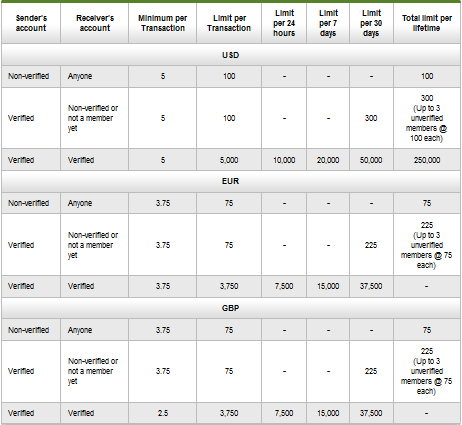 You will have 30 days from when the money is sent to create a NETELLER Account and receive your funds. As soon as your account is created, you will have access to the sent funds. With no transfer fees for the receiver and all transaction fees waived for the sender, you can get and send money for free with Money Transfer. 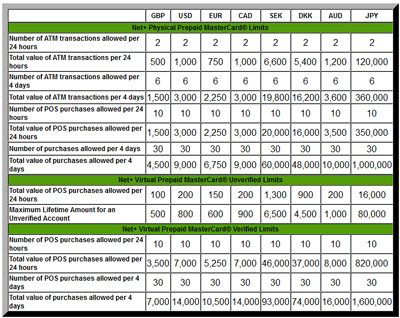 Limits - How much can I send with Money Transfer? The amount you can send via this option is determined by your account status and the receiver’s account status with NETELLER. If you have not verified your account, you will only be able to use Money Transfer once, to try out the system. After you’ve used it once, you will need to verify your account to continue using the system. With NETELLER, customers get access to one of the most successful prepaid card programs on the market. Net+ card program allows consumers to spend safely online and in person at millions of MasterCard® point-of-sale locations, as well as getting instant access to your cash at ATMs worldwide. A prepaid card works just like a credit card, with one big difference: You can only spend the money that you’ve loaded on your card. In the same way a debit card is linked to the funds in your bank account, the Net+ Prepaid MasterCard is linked to the balance in your NETELLER Account. To load your card, simply put money in to your account. It is a plastic card that employs Chip and PIN technology to increase your security and allows you to make withdrawals at ATMs and purchases at POS (Point of Sale) locations that accept MasterCard. Featuring Chip and PIN technology, 128-bit encryption, identity verification and transaction monitoring, Net+ cards ensure that wherever you shop, your purchases and privacy are always secure. If you use your account to accept payouts from individuals or other sites, a Net+ card can be a great way to instantly access the funds in your account at ATMs worldwide. With no annual, monthly or dormancy fees, the Net+ Prepaid MasterCard is one of the best-priced prepaid cards on the market. Because it’s a reloadable prepaid card, you’ll never pay interest, overdraft or late payment fees when you use your Net+ card. You can use your Net+ card to pay for items on millions of retail point-of-sale locations worldwide or online anywhere MasterCard® is accepted. Net+ cards only let you spend the money in your account, so there’s no risk of accumulating debt and no credit checks required to get a card. All you have to do is put money in to your NETELLER Account using any of our great deposit options. 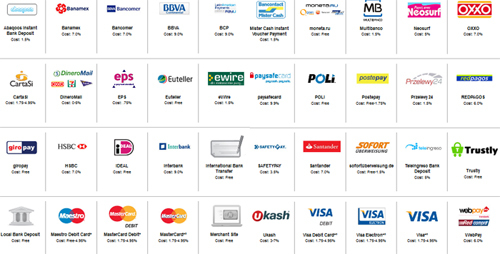 To see a list of deposit options available in your country, visit our fees page. With 8 currencies to choose from, including GBP, USD, EUR, CAD, SEK, DKK, AUD and JPY, you can pay with the currency that works best for you. Note: Your Net+ card will be sent via the mail. Depending on your country of residence, delivery may take up to 30 business days. You will be provided with the 4 digit PIN code as part of the online Net+ card activation process. 4. Use your Net+ card to pay anywhere MasterCard is accepted, online and off. Simply make a deposit to your account to load your card.